Our Memorial Day Weekend camping trip had mostly been a disappointment for my 12 year old son, Thomas. Every year we camp with some of our best friends and their families at Birch Creek to fish and ride four wheelers or motorcycles. Our friends with the four wheelers would not let Tommy drive by himself and would hardly let he and his friend, Adam, hitch a ride. And Tom, who oftentimes lacks a filter, repeatedly let everyone know of his disappointment. So this trip was mostly a bummer for him. 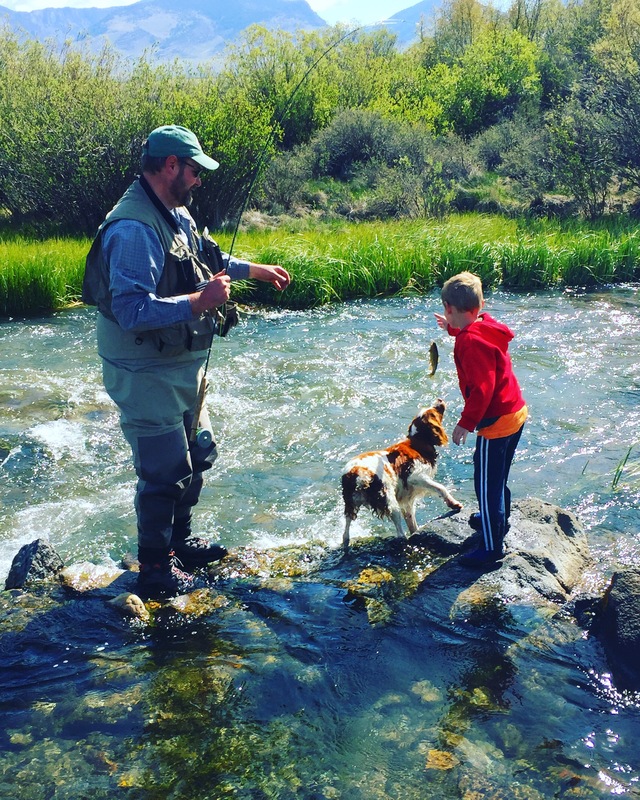 One of the main reasons why our family goes to Birch Creek every Memorial Day is to give the kids the opportunity to catch some fish on the fly. 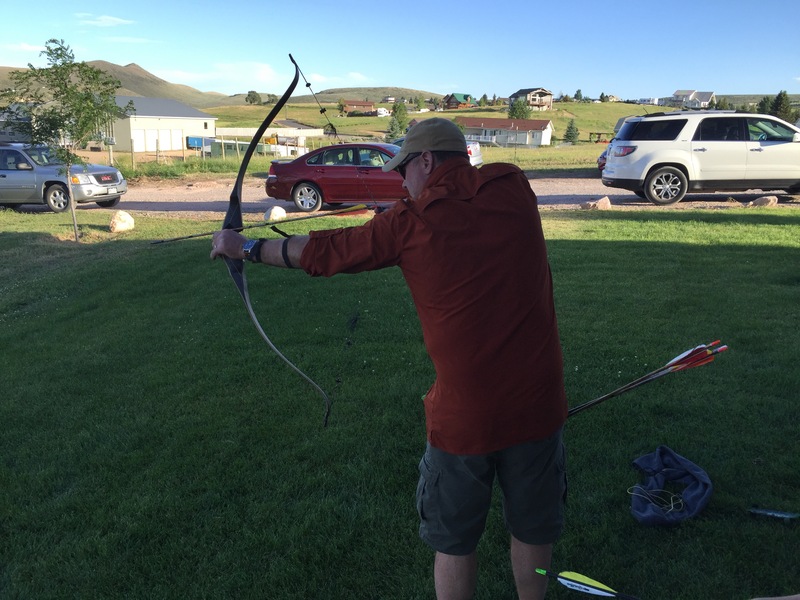 There is no better place to teach youngsters how to fly fish and tenkara makes its easy. Although he has often fished with me in the past, Thomas did not once ask to fish on Friday or Saturday. We did not fish on Sunday, but just spent time together as a family. “This is the worst camping trip of my life. There is nothing to do. I am so bored!” Tom had complained more than once over the weekend. While I did not voice my opinion, I felt that Tom’s negativity stemmed from his lack of trying to enjoy nature, and more particularly, fishing. I truly hope that my kids will learn to love fishing, but I do not want to force this on them. On Monday morning—a warmer, sunnier day that the previous three days—four of my six kids all wanted to catch fish using tenkara. Of course, it didn’t hurt that I promised a prize if they could catch a fish all by themselves. Nessy, Eden, Lily, and Ben all took turns with the Tenkara USA Rhodo and caught fish. It was a fun, successful morning. Of course, all of the kids bragged to everyone, including Tommy, about winning a Jamba Juice by catching a fish. Lily’s first fish on tenkara. Can’t beat that smile! Not wanting to miss out, Tommy finally asked after lunch, “Dad, I want to try to catch a fish.” Before that, he and Adam had been whining about not being able to ride four wheelers, which made their owners even more unwilling to give them a ride. I sent Tom down to the creek, with the tenkara rod and a nymph and indicator rig, to fish from the bank where Eden and her friend Becca had caught numerous fish earlier that morning. Try as he may, Tom could not catch anything and I didn’t help him. To be honest, I was a little miffed that Tom only asked to fish just before we were getting ready to pack up to go home and only because he wanted a Jamba Juice. Everyone in camp was staring at Tommy’s temper tantrum and shaking their heads. To gain control of the situation, I made Tom sit in my car until he calmed down. Tommy obeyed and we both went down to the creek with the Rhodo in hand. For the first time ever, Tommy waded with me in the creek. I showed him how and where to cast and how to present the fly. In about twenty minutes, Tommy caught two fish but both got away before we could photo them. Both times, I hooted and hollered, “Alright Tommy!” while jumping up and down. The whole camp above us overheard our jubilation. I can honestly say that I was more excited about these two fish than any others brought to hand over the weekend. Tommy and I fished up the creek together and I pointed out where the fish typically held and showed Tom where to cast. We had a good bonding moment like my late father and I had experienced so many times before on this special creek. This is exactly what I was had hoped for. Truth be told, it was mine too. I was so glad I spent the one on one time with him.